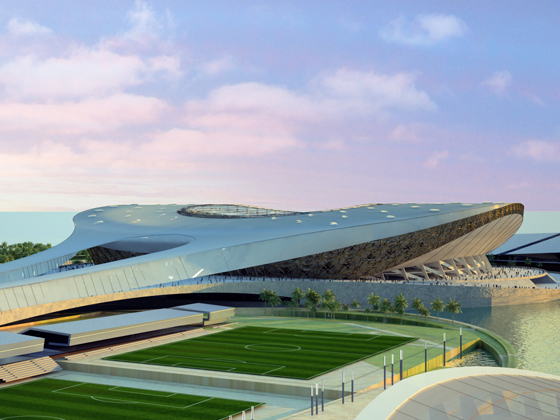 Working as part of an Iraqi lead consortium, Edge Structures developed the concept for this new stadium in Baghdad. The stadium is designed to accommodate 100,000 spectators and is designed to meet both FIFA and IOC standards. The wider park development will include other facilities including an aquatic centre, velodrome and athletes village. The roof structure is designed as a cable net and the main stadium bowl formed from reinforced concrete seating tiers.